I love this book! It is visually captivating, well-written, and a fantastic adventure. 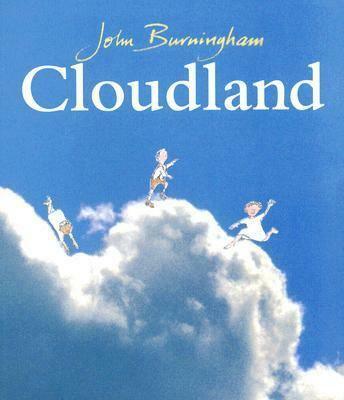 As you can see from the cover, the characters are illustrations superimposed into an actual picture of a cloud. Inside the book, you will see beautiful sunsets, amazing storms, jet-streams, many different types of clouds. The story begins innocently enough, Albert and his parents are hiking, when Albert falls off the cliff and is caught by the children who live in Cloudland. Albert lives with the children in Cloudland. They sleep in the clouds, swim during rainstorms, make as much noise during a thunderstorm as they can! Albert even gets to walk across a jet-stream. Albert loves his time in Cloudland, but misses his parents. He returns home, but always remembers his adventures in the clouds even though he never returns to Cloudland. But we can always return, in our imaginations, writing, and creating new adventures for ourselves in Cloudland. I think the author/illustrator's name gives this book an automatic recommendation. 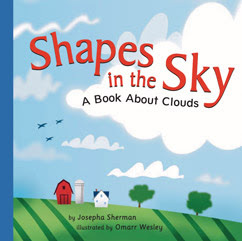 In this book, the cloud forms different shapes: an airplane, a clown, a hat. It ends with the cloud joining other clouds and turning into rain. I love looking for shapes in the sky. Mostly I see dragons--I have two boys and we read a lot of books about dragons. But one day, I was lucky enough to see a cloud shaped like an airplane. 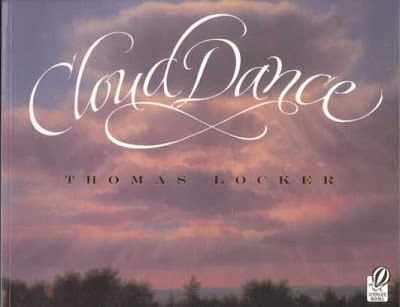 This book has beautiful illustrations and wonderful prose -- I love its artistry in both word and pictures. It brings science and art together. 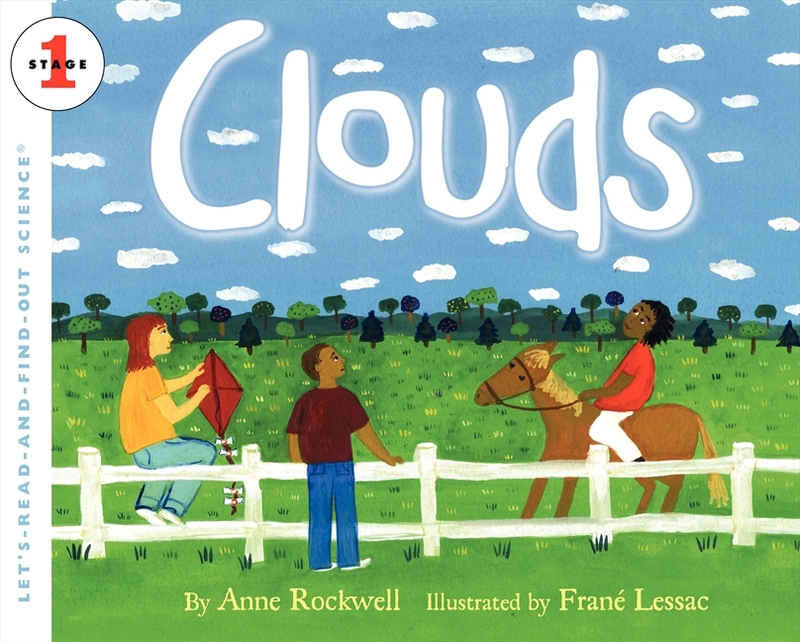 It takes you on a journey through time by illustrating the changes clouds make with each season. The last two pages of the book has additional information on clouds and how they are classified and written. Don't you love Tomie de Paola. This book is non-fiction, but de Paola brings his sense of humor into the book. Both my fourth grader and second grader loved his illustrations of the two idioms: "He's in a fog." and "She has her head in the clouds." I only wish he had an illustration for "I am on cloud nine!" 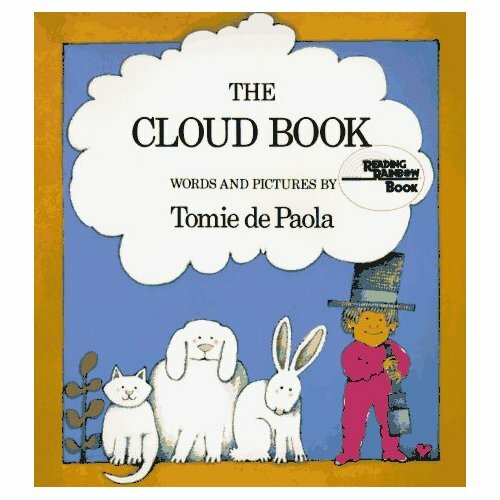 This book is my go-to book for clouds. 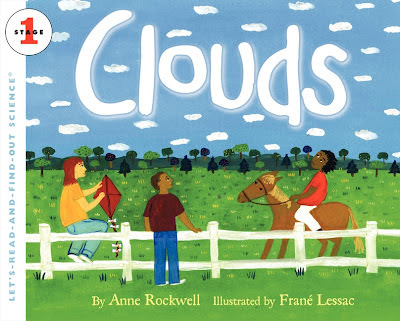 After reading this book, I understood the different ways clouds were named. 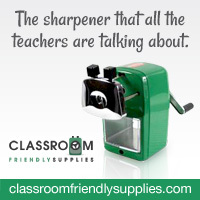 The illustrations are simple, so it doesn't distract from the learning and information. It is rather long. My kindergartner couldn't sit through this. But for older kids, it is a great read! I love reading this book to my five-year-old. It is nonfiction, but shorter than Anne Rockwell's book. 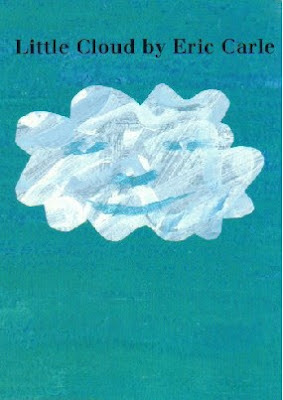 The illustrations take up the entire page, with the words written in the clouds or the sky. My daughter doesn't like books that are too "busy" or "detailed" in their illustrations. For example, looking at a Jan Brett book is too overwhelming to my sensory child--but this book is perfect for her visual and auditory sensory disorder. A great read for kindergarten and first grade! It contains instruction on how to make a cloud, a glossary, and a resource page. Just in-case you missed it before. 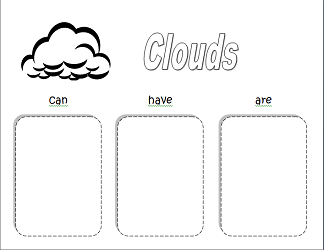 I made a clouds can-have-are chart! After you read the nonfiction books, you can fill out the chart.